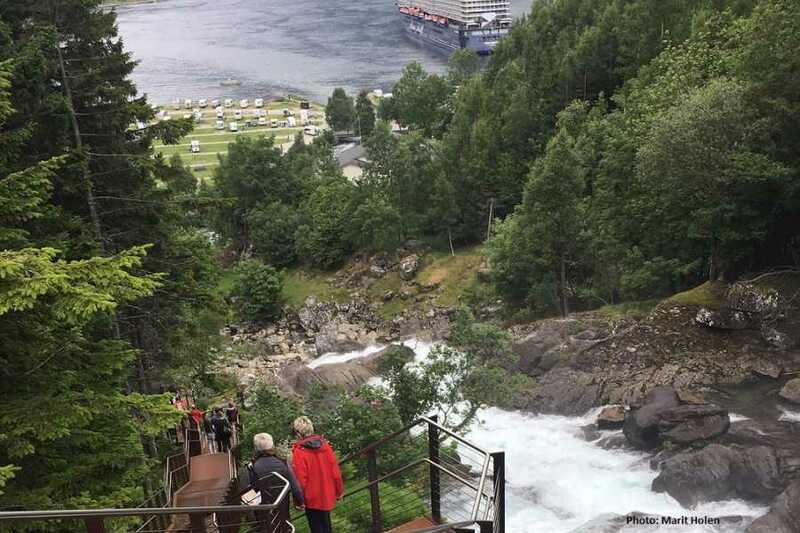 The trip starts in Ålesund, goes via Sykkylven, famous for its furniture industry, over the mountain pass to Stranda and from there to Hellesylt where the fjord cruise to Geiranger starts. 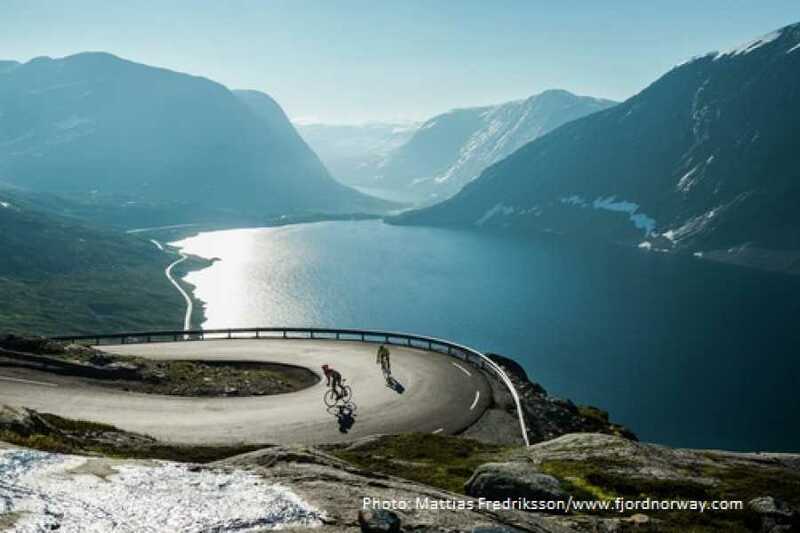 In the winter, Stranda offers spectacular skiing. 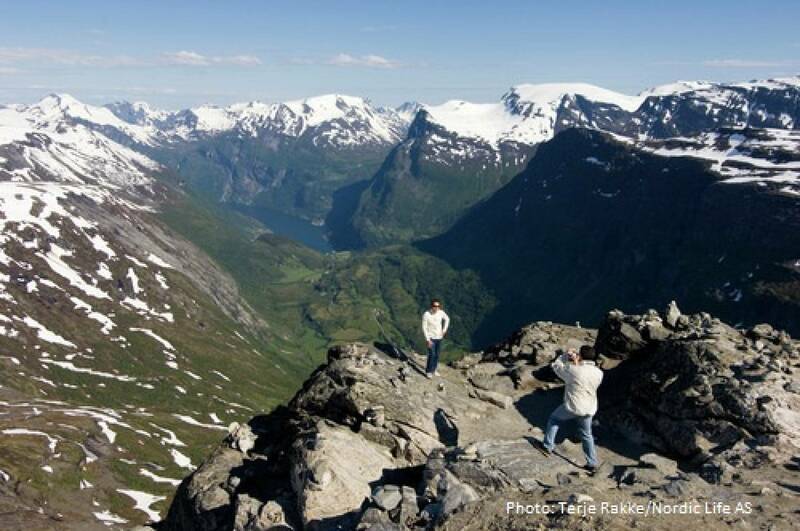 This is one of the very few places in the world where you can ski from the mountain top all the way down to the fjord. If you want to participate in activities like the guided hike or bike tour you must make an overnight stay. 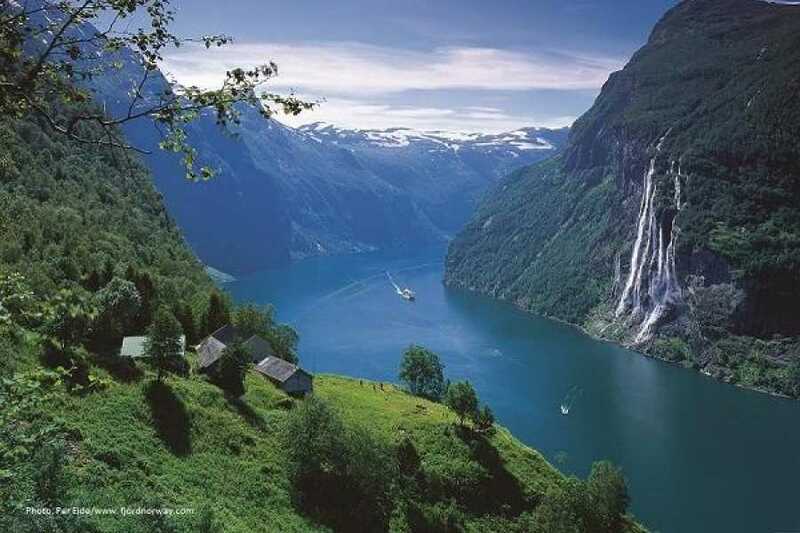 Therefore, your ticket for this trip is valid for 2 days, including the departure date. 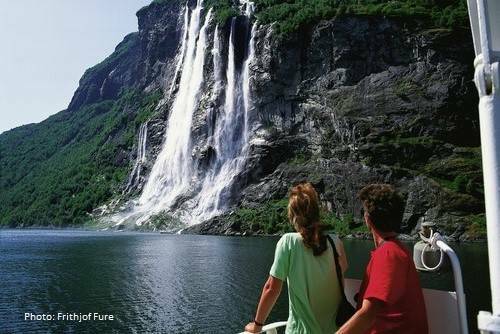 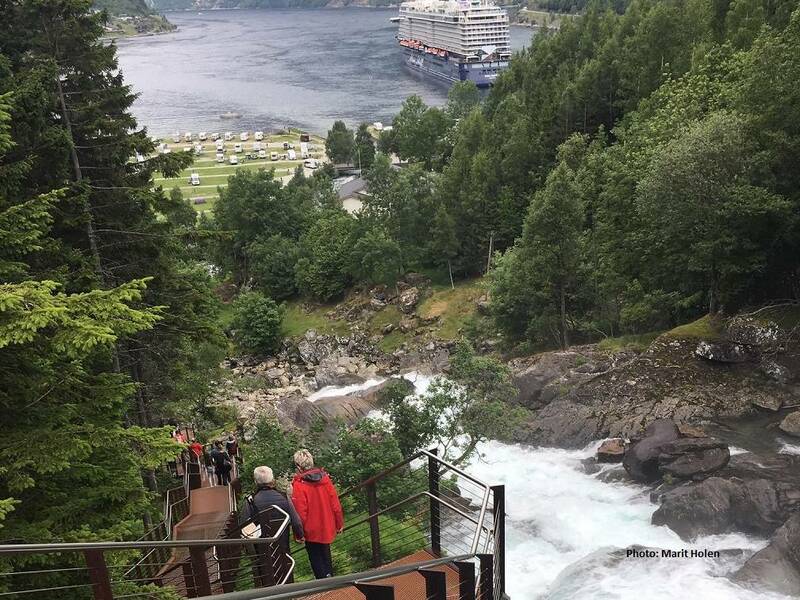 The ferry cruise from Hellesylt to Geiranger takes 1 hour, and while cruising the fjord you can see beautiful waterfalls and small farms in the steep mountain sides.